I’m not sure when it arrived, seemingly it had always been there, but certainly some time in the mid to late 1950s it became a feature in the corner of our living room; the Bush Console TUG.26 television receiver. I know where it came from, J&M Stone in Caroline Street, Bridgend and was probably an ex-hire purchase set. In the 1950s my father acquired a number of cheap, non-working televisions from this shop and he would work on them until they once again operated. I recall a number of Echo table-top models being repaired and then passed on to various members of the family, both my grandparents had sets in this way. The Bush was special though, it was a real piece of furniture with double doors on the front to hide the screen and controls when not in use. It received just the one channel when we first had it, BBC, but my father fitted a “turret” tuner so we could receive the latest ITV station broadcast from the St. Hilary mast near Cowbridge. The tuner was clunky, a large knob on the right-hand-side of the set and was changed by rotating the knob through set positions, ten of them, not that there were ever going to be ten stations to be received. As the years went by the set began to wear out and the picture started to fade. My father though persevered with it as he knew the new BBC2 channel would shortly be available and as it ran on a different system we would be requiring a new set to view. However, BBC2 went on air and still we kept to the old set, Dad said it wasn’t worth changing as there weren’t any programmes worth watching, Hmm, us teenagers thought differently! 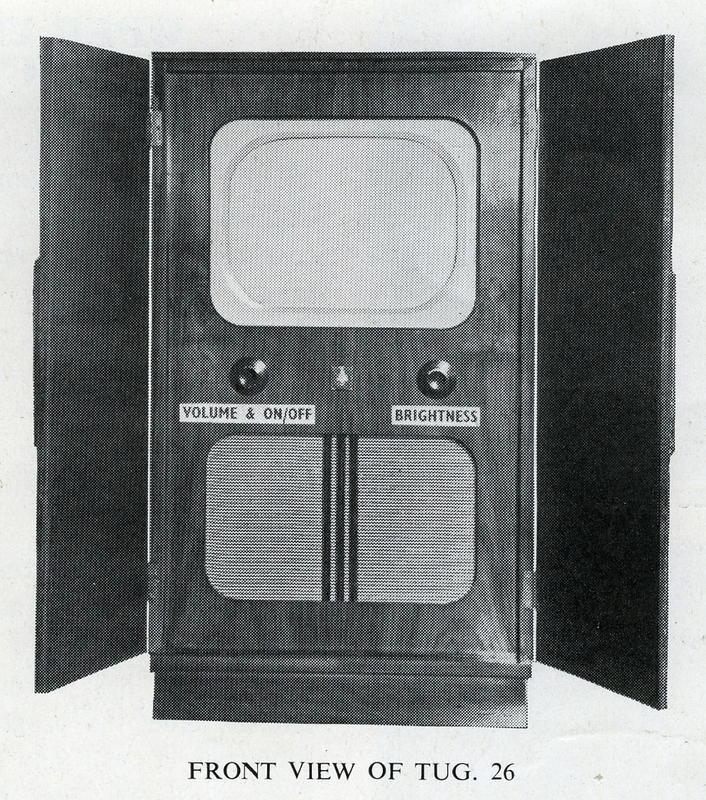 The set began to be very intermittent in operation and would fade out during viewing but by clicking the channel changer full brightness would instantly be restored. This was a pain as fading could be as frequent as every two minutes so someone was always jumping up from their chair to click the tuner. One day, goodness knows how it was discovered, we realised by switching the radiogram on and off it did the same job as clicking the tuner so thenceforth someone always sat next to the radiogram with an arm outstretched touching the switch, ready to spring into action with a quick flick when the TV picture faded. The pain of cramp in the right arm was a common family ailment in those days. The television was eventually replaced when my father bought a colour set in the mid 1970s. Now I’d like to be able to tell you I still have the Bush, sadly it had been stored in the garage and damp ruined the case and so it was disposed of – I still have the valves though and the recently-discovered instruction manual! Excellent! Really good post, oh how I love those old TV sets. Sadly Andrew, when we were selling up our large house by the seaside some eight or more years ago I had nearly all my father’s old televisions and radios. I did find someone interested in taking them for a museum but was let down. Many of them were already rotting through incorrect storage so I was left with no alternative but to scrap them all. Salvaged all the valves though but the rest went to recycling. I kept a few of the older radios which had some sentimental and interest value. We had one of those televisions when we were first married in the fifties. It was our pride and joy!